AQSIQ on imports of US apples plant of Inspection and quarantine requirements of announcement. 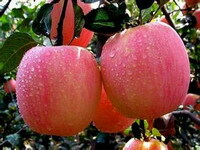 According to AQSIQ experts on US apple pest risk analysis, based on site visits, the inspection and quarantine departments in consultation between the two countries, the two sides have signed the US fresh apple exports to China plant quarantine work plan. Under the work plan, is now officially released imports of US apples plant inspection and quarantine requirements, to allow imports of US apples qualified. 1. sea containers should be clean and, after checking to ensure that no plant residues in the container. 2. packing process should be properly protected against the pest secondary infection. 3. APHIS or APHIS authorized person shall verify the growers goods parcel number, packing plant name and / or state registration number and marks Marks, in order to ensure consistent phytosanitary certificate. Response box quarantine pests in check. Entry-exit inspection and quarantine inspection and quarantine agencies in accordance with the following requirements. (A) the relevant certificates and identity verification. 1. Verify whether imported apples with AQSIQ issued by the “animal and plant quarantine permit”, without “animal and plant quarantine permit” shall not accept inspection. 2. The verification of compliance with phytosanitary certificates Article VI (e) provides. If you do not comply, the batch of apples allowed entry. 3. verification of compliance with the relevant provisions of the box identifies Article VI (c), if not met, the batch of apples allowed entry. 4. The implementation in transit cold treatment, the need to provide the container shipping companies downloaded cold treatment records and calibration records the original signed and stamped by the US quarantine officials during the inspection of fruit sensors. If not provided, shall not accept inspection. 5. Verify discovery packing plant and cold treatment facilities from unauthorized shall not accept inspection. (B) the entry inspection and quarantine. 1. inspection and quarantine manual& Plant Inspection and Quarantine Volume relevant provisions of the inspection and quarantine of imported apples. 2-1. For the implementation of transit cold treatment, cold treatment by the training of qualified personnel for verification, it is determined whether cold treatment eligibility. 2-2. probe error of more than 0.3 ℃; cold treatment temperature is wrong. As already cold treatment, but the cold treatment is found to be invalid, then the shipment will be harm, returned or destroyed. 3. The inspection found unapproved packaging plant or unapproved cold treatment facility apple, the batch of apples allowed entry. 4. The discovery of entry inspection and quarantine concern to China quarantine pests in vivo, then the batch of apples should be returned, re-export, destruction or quarantine process, China will promptly notify the United States, and subject to inspection and quarantine measures to be taken. 5. The country does not comply with food safety standards, in accordance with the relevant provisions of “People’s Republic of China Food Safety Law” and its implementing regulations treatment. (A) if the US apple pests changes, AQSIQ will be further risk assessment, and in consultation with the US side, adjust the relevant quarantine measures. (B) To ensure the effective implementation of the risk management measures and operational requirements, AQSIQ will regularly “imports of US apples plant inspection and quarantine requirements” Implementation of a retrospective review. According to results of the review may, “imports of US apples plant inspection and quarantine requirements” be revised. © 2019 AQSIQ Association All rights.